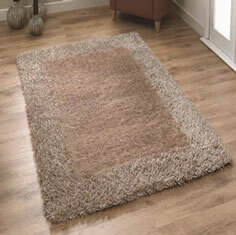 Sable 2 rugs are an ideal centre piece to your room. The centre of the rug is made from shimmering polyester and the outer border is made from Viscose sparkle effect yarn. The overall effect is subtle but bold enough to be an imposing focal point. Sable 2 rugs are handmade in China and are available in 7 fashionable colours.